One of the things I love about toning is that you just make whatever sound feels appropriate for you. Whether it’s a moan, a groan or a tone, the creator of this sound doesn’t think about what note it may be in or what note they’re hitting. It’s really just about how the tone makes you feel. Where it’s resonating. And whether it makes us feel good or not. Sometimes we tone to help us feel emotionally better. Sometimes we tone to help us feel physically better. 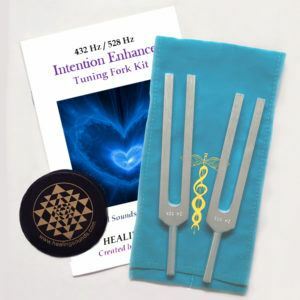 Sometimes we tone to resonate a place on our body where the sound vibrates and relieves stress or pain—often breaking up blocked energy as this occurs. Now there may be some professional singers who inadvertently try to figure out what pitch they’re making when they tone. That’s okay. If that happens, so be it—I don’t encourage it. But as my wife Andi & I like to say about making sound, about the only “caveat” or warning we have is that you don’t damage yourself or anyone else when making a sound. So, if you want to try to analyze the sound you’re making in terms of what the note or exact frequency is, please have a good time. From my perspective, after a while you’ll forget about this—your head won’t get in the way of your heart and you’ll just make sound without knowing or caring what note it is. Now, it seems scientists have developed a drug that helps people achieve perfect pitch. What is perfect pitch? It’s the ability to identify or sing musical notes without a reference point. In other words, if someone hears a certain note, they are able to say “That’s a C#”. Or conversely, when asked to sing a “G” note, a person with perfect pitch is able to do just that. Now, in truth, that reference point—which scale is being used in order for the person to identify or sing that note—is an entirely different subject. Even in these modern times, not all scales are the same. But I’m sure for the most part that with this test, the scientists used a piano that was tuned to A440, using an equal tempered scale. Perfect pitch is pretty rare. It’s largely been considered a genetic gift, although it can be nurtured through training in early childhood. There are even courses for adult that promise to teach perfect pitch. A friend of mine took it and said it helped a lot. It had to do with identifying certain sounds with certain colors. The result, I was told, after a number of weeks of practice working with this system was that it was helpful in terms of developing perfect pitch. We used to believe that our brain didn’t change, but now we talk about neuroplasticity and the fact that different parts of our brain can be stimulated, developed and affected, even as we grow older. It’s a great thing—it means that we can learn new things and perhaps even repair damaged portions of the brain. Just making self-created tones (without knowing the exact pitch that is being sounded) is a wonderful way of utilizing the neuroplasticity of the brain. I suppose that valproate is also a vehicle to enhance neuroplasticity, since when it is utilized, it allow adult brains to have the neuroplasticity of young children, who can easily pick up skills from speaking new languages to playing musical instruments. Apparently a couple of weeks after using valproate (as opposed to a placebo), test subjects were much better at determining perfect pitch. The next step, apparently, is to see if this drug enhanced the ability of adults to learn language. After reading the article about valproate and perfect pitch, I had this image of the hundreds of thousands of people auditioning for “American Idol” and similar shows popping valproate before their audition. Incidentally, I have watched “American Idol” and found it pretty amusing for a number of reasons. I also, however, have thought that it represented the downfall of Western civilization since there were aspects of it that attuned viewers (and listeners) to what was in tune and what was out of tune. I have no problem with this awareness of things being “pitchy” (a term coined on “American Idol” meaning that the singers was out-of-tune), but as noted in the beginning of this writing, when we’re teaching toning, Andi and I really discourage any sort of judgment about one’s voice—whether they are “in tune” or “out of tune”. For us, any sound that is made (as long as it’s not detrimental to ourselves or others) is a good sound. One of the great obstacles that Andi & I have had to overcome when teaching, is the judgment that most of us have about having a “good” or a “bad” voice. Thankfully Toning is not about that—it’s about using our own self-created sounds as a means of resonance and release. Among other things, there are many different and beneficial neuro-chemicals that are released when we tone (or even hum) such as melatonin, endorphins and nitric oxide. There are also a number of positive physiological benefits like reduced blood pressure and enhanced relaxation. And you know what—your body and your brain don’t care if you sharp, flat or are a little “pitchy” when you tone. These effects occur regardless of what note you make. Now, I just looked up valproate and discovered that it is also an anticonvulsant used in the treatment of epilepsy, anorexia nervosa, panic attack, anxiety disorder, posttraumatic stress disorder, migraine,and bipolar disorder, as well as other psychiatric conditions. It also can be used to control acute episodes of mania and acute stress reaction. However, side effects can include tiredness, tremors, nausea, vomiting, hair loss, depression, and slowed thinking. Well, there goes my fantasy about contestants on these vocal shows popping valproate. And hopefully, they won’t find some other drug without such nasty side effects that helps induce perfect pitch. 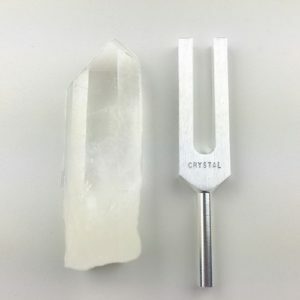 In the meantime, I want to suggest to all of you to forget about perfect pitch—at least if you’re interested in sound healing and not a musical career. It may have its uses in the performance arts, but it’s just not necessary or useful when you are toning. Whatever healing sounds you make, the sounds affect you with positive side effects that enhance your body/mind/spirit and encourage wellness and harmony. 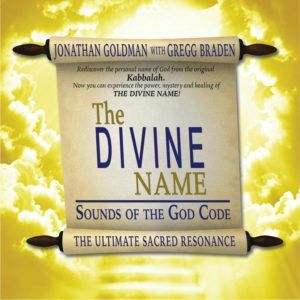 When you practice, you can feel the sound resonating your body, brain and etheric field. It’s that simple and that easy and that important. My one question is: how did Dr. Hensch decide to investigate the effects of valproate for perfect pitch in the first place? Or rather, why? Perhaps in my journeys through time, space and the world of sound, I’ll find an answer for this. When I do, I’ll let you know. 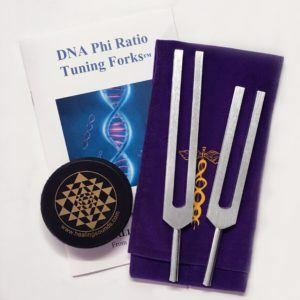 There is nothing perfect about the 440 Hz tuning; on the contrary, it is perfectly out of sync with the harmonics of life on this planet. You say perfect pitch is rare. Well, I will venture to say that almost every musician trained in Indian classical music has perfect pitch, especially the instrumentalists who accompany the singers.